Max Allan Collins & Barbara Collins will returning to Centuries & Sleuths to visit with their friends and readers to discuss and sign several new titles in a variety of genres (e.g. hardboiled, comical, current, and pulp). Enjoy a wonderful afternoon with two serious, but delightful writers. The King of the Weeds with Mike Hammer Hammer finds himself up against a clever serial killer targeting only cops. A killer his old friend Captain Pat Chambers had put away many years ago is suddenly freed on new, seemingly indisputable evidence, and Hammer wonders if this seemingly placid, very odd old man might somehow be engineering cop killings that all seem to be either accidental or by natural causes. At the same time Hammer and Velda are dealing with the fallout – some of it mob, some of it federal government – over the $89 billion dollar cache the detective is (rightly) suspected of finding not long ago. Antique Con with Brandy Borne and her mon Vivian Brandy Borne and her drama-queen mom, Vivian, take their antiques show on the road, for an off-Broadway farce mixing mirth and murder. A world away from small-town Serenity, the ditsy duo--chaperoned by their trusty shih tzu, Sushi--arrive in the Big Apple, blissfully unaware that they will soon cross paths with a rotten-to-the-core killer. As the dynamic dames descend upon a comic-book convention--to sell a rare 1940s Superman drawing--Vivian makes a show of keeping the valuable sketch locked to her wrist in a briefcase. When an intruder breaks into their hotel suite, they naturally suspect a felonious fan, over-eager to acquire their artwork. But this not-so-super villain proves less interested in the Man of Steel than in stealing a man's life, as Brandy and Mother stumble onto a murder victim impaled by a pen-shaped award. Suspects ranging from comic-book collectors to crime kingpins lead Brandy and Mother on a merry madcap Manhattan misadventure, taking them from convention hall to strip joint, from retirement home to precinct lock-up. Has the con been conned by a killer? If so, only Brandy, Mother and Sushi can stop this fatally foul funny-book fiend. Supreme Justice After taking a bullet for his commander-in-chief, Secret Service agent Joseph Reeder is a hero. But his outspoken criticism of the president he saved?who had stacked the Supreme Court with hard-right justices to overturn Roe v. Wade, amp up the Patriot Act, and shred the First Amendment?put Reeder at odds with the Service's apolitical nature, making him an outcast. FBI agent Patti Rogers finds herself paired with the unpopular former agent on a task force investigating the killing of Supreme Court Justice Henry Venter. Reeder?nicknamed ?Peep? for his unparalleled skills at reading body language?makes a startling discovery while reviewing a security tape: the shooting was premeditated, not a botched robbery. Even more chilling, the controversial Venter may not be the only justice targeted for death? Is a mastermind mounting an unprecedented judicial coup aimed at replacing ultra-conservative justices with a new liberal majority? To crack the conspiracy and save the lives of not just the justices but also Reeder's own family, rising star Rogers and legendary investigator Reeder must push their skills?and themselves?to the limit. The Wrong Quarry A HIT. AND A MISS. Quarry doesn't kill just anybody these days. He restricts himself to targeting other hitmen, availing his marked-for-death clients of two services: eliminating the killers sent after them, and finding out who hired them…and then removing that problem as well. So far he's rid of the world of nobody who would be missed. But this time he finds himself zeroing in on the grieving family of a missing cheerleader. Does the hitman's hitman have The Wrong Quarry in his sights? 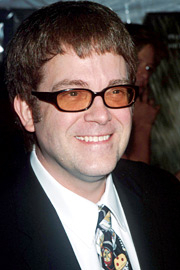 Max Allan Collins is the New York Times best-selling author of the historical graphic novel Road to Perdition, basis of the Academy Award-winning film. He has also received wide acclaim and awards for his mystery series starring Detective Nathan Heller. Heller is back in Target Lancer, in which the puzzle pieces of the possible John F. Kennedy assassination conspiracy are fit together through events in Chicago several weeks before the fateful Dallas trip. Max Allan Collins reads from Bye Bye Baby. Max Allan Collins's book Road to Paradise was available from LibraryThing Early Reviewers. Max Allan Collins's book Chicago Noir: The Classics was available from LibraryThing Early Reviewers. Max Allan Collins's book Dark Faith: Invocations was available from LibraryThing Early Reviewers. Max Allan Collins is currently considered a "single author." If one or more works are by a distinct, homonymous authors, go ahead and split the author. Max Allan Collins is composed of 14 names. You can examine and separate out names.